J.T. Klaus has been assisting Kansas local government in the issuance of municipal debt obligations for both infrastructure improvement and economic development since 1990. Mr. Klaus has extensive experience serving as Bond Counsel in connection with the issuance of governmental debt obligations, including general obligation bonds and temporary notes, municipal revenue bonds, as well as such “hybrid” and “conduit” type financings as tax increment bonds, lease financings (certificates of participation) and industrial revenue bonds. 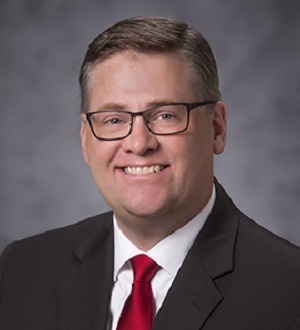 Mr. Klaus has served and continues to serve as Bond Counsel to governmental entities throughout the State of Kansas and regularly assists local industry, hospitals and health care in connection with financing their facilities. Mr. Klaus regularly advises local government on the various tax incentives and financing tools available to communities that desire to strengthen local industry and support economic development.